When we moved into our current facility in 2010, we had enough counter space for one appliance. Since then, the CVW kitchen has been home to a custom-built, two-tap kegerator. In other words, we chose a lifetime of handwashing our dishes in exchange for in-office draft beer:thirty, and there have been no regrets. Okay... our custom tap art for every keg may or may not have produced some regrets, but you know what we mean. After a meeting that of course involved a couple of VHBC beers, we rounded up the whole crew inside their shared space at the Oklahoma City’s Brewers Union and talked company history. It was important to them to portray their real personalities and the nature of Vanessa House: a non-stuffy, friendly vibe, affirming that craft beer doesn’t have to be daunting or elitist, as it sometimes may seem. Be sure to watch through the end for the riff on Jimmy Kimmel Live!’s “Mean Tweets”—everyone’s a critic. We loved the pale ale they brewed for us using our crew’s notes about what makes a good beer—a later incarnation of which they released to the public as the Garage Fire Pale Ale—and we also loved this project. Better still, we weren’t the only ones! 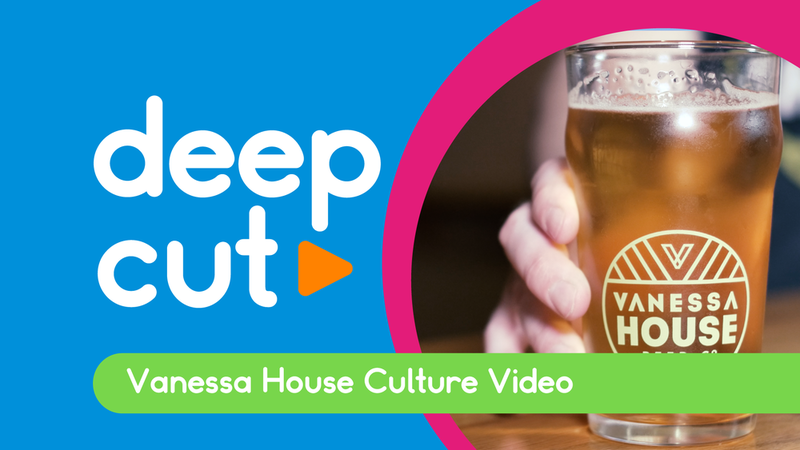 The Vanessa House Company Culture Video took home a silver ADDY from the OKC Ad Club in 2018.